Take the world of gourmet smoked food anywhere you go with the Bradley Propane Smoker. 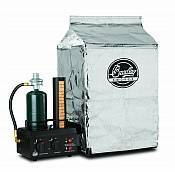 This lightweight and portable smoker has all the features of the original Bradley Smoker. 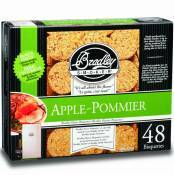 It burns Bradley Flavor Bisquettes automatically using 4 AA batteries and propane so you can hot smoke or cold smoke on your boat or at your campsite. Every propane smoker comes with a study carrying case. 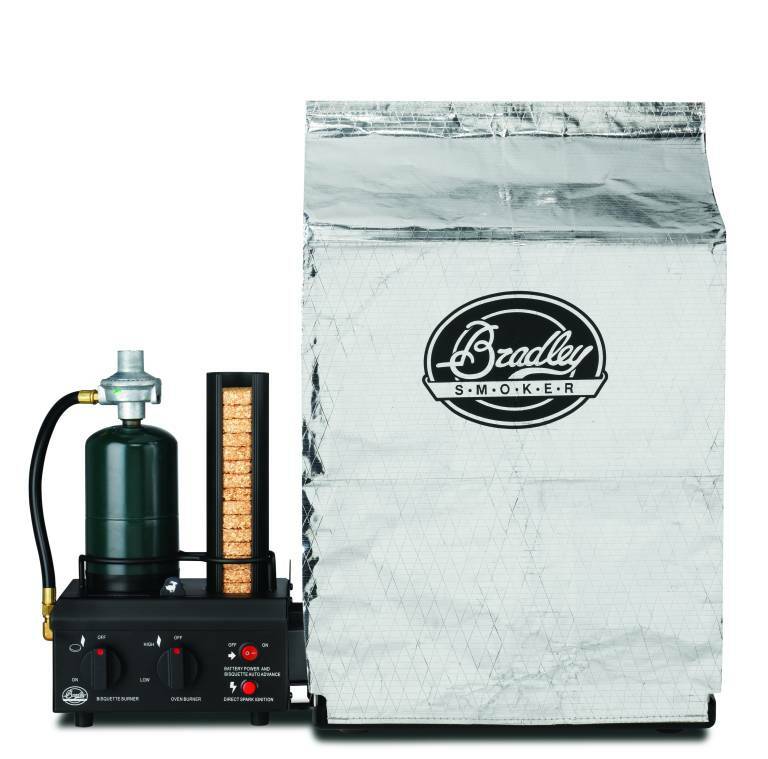 Each Bradley Propane Smoker comes with a user guide, a recipe booklet, a drip tray, three smokehouse covers, a carrying case, drip bowl and 10 foot car adaptor. Propane, batteries and bisquettes are not included. This smoker has a 6 months limited warranty, and four adjustable racks. Comes with a wood burner control, flame control and an on/off switch, and uses a one pound propane tank. Measures 27-1/2 inches W by 12-1/4 inches D x 22 inches H with the generator at the side.